Toyota is recalling more than a quarter million pickups, SUV's and luxury-brand Lexus crossovers because various safety systems, including stability control and anti-lock brakes, could become inoperative. The 2012 and 2013 model year vehicles have an electrical component in the brake actuator, which adjusts fluid pressure in each wheel cylinder. This may experience increased resistance, according to documents filed with the U.S. National Highway Traffic Safety Administration. That could lead to reduced vehicle control and an increased risk of a crash as various safety systems, including traction control, become inoperative. Toyota officials could not immediately be reached to comment on Friday. 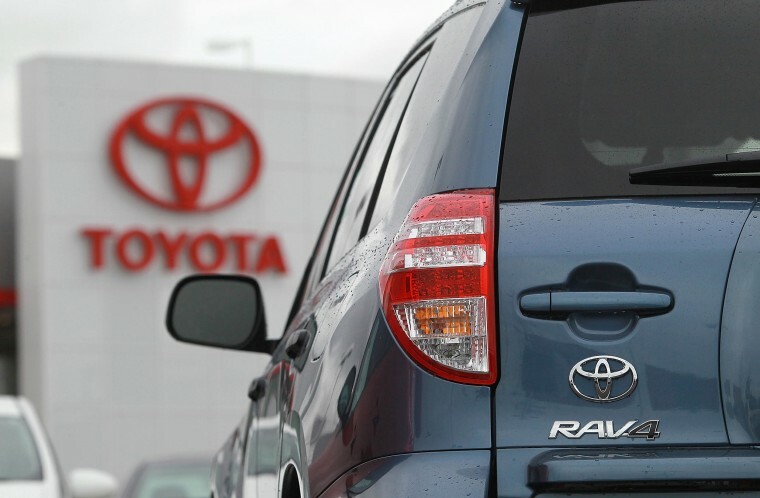 The recall is for 54,010 Lexus RX350 crossover vehicles and 100,052 of the Toyota Tacoma pickup trucks, both from model years 2012 and 2013, as well as 107,052 Toyota RAV4 SUVs from model year 2012, according to the NHTSA documents. Not all of the recalled vehicles were sold in the United States, according to the NHTSA documents. Toyota and Lexus dealers will update the software for the skid control electronic unit free of charge, the documents say. Earlier this week, Toyota recalled all 1.9 million of its third-generation Prius cars sold worldwide due to a programming glitch in their hybrid system.